Donations of food, snacks, and personal care items are received, sorted, packaged, and shipped to our troops on the front lines. 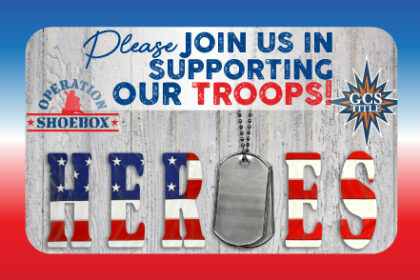 Operation Shoebox believes that the often unseen heroes of American freedom deserve constant reminders that they haven’t been forgotten. The charity was started by a mother who had five children and two son-in-laws deployed overseas. 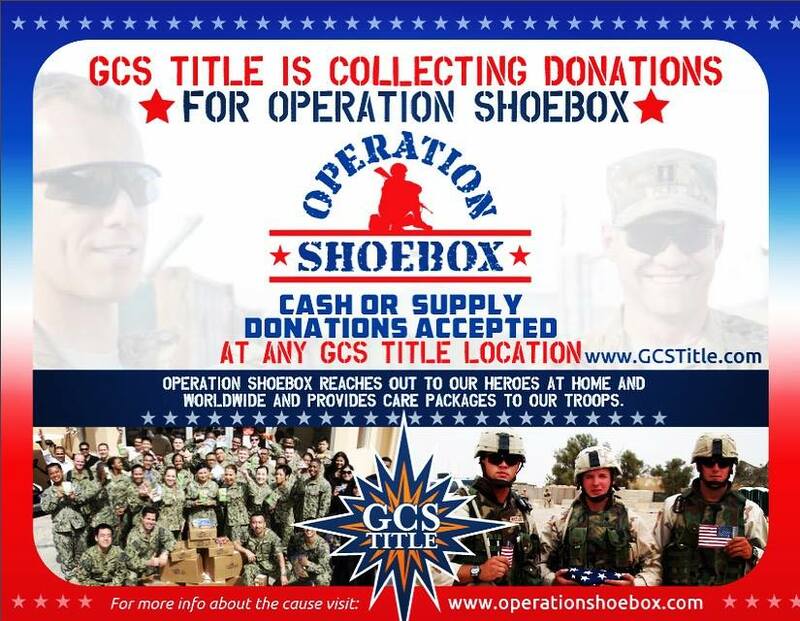 There’s no doubt that the care packages Operation Shoebox mails to troops everywhere help give them a boost during unbelievably trying times. 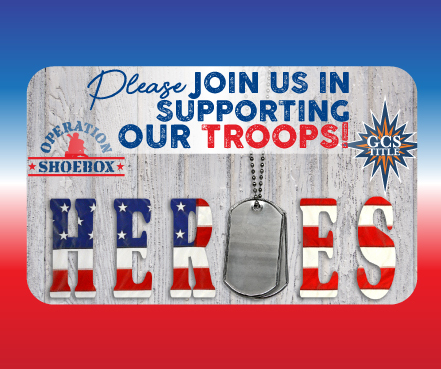 If you have extra goodies, consider donating to Operation Shoebox to make a military member smile! 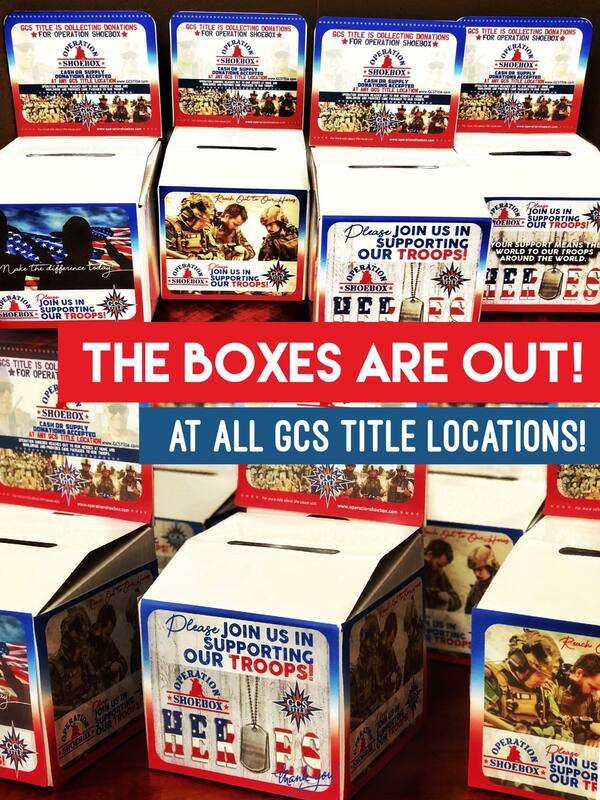 THANK YOU FROM ALL OF US AT GCS TITLE!